Well I think the answer in all these cases is that the reducer has frozen up, or is not getting any heat from the engine coolant. It takes a lot of energy to turn liquid propane into a vapour, some of you may remember this being called Latent Heat of Vapourisation from your school physics or chemistry lessons. There are a couple of Wikipedia articles here and here. On the latter of those pages, the value for propane is given as 356kJ/kg. In round figures, I can burn about 10kg/hr in my 110, so that’s 3,560kJ/hour. As there are 3,600 seconds in an hour, that’s about 1kJ/s or 1kW (one kilowatt). That’s considerably more than the typical cooling capacity of a domestic fridge or freezer, and similar to the capacity of a portable air conditioning unit. As an aside, I’ve considered harnessing some of this cooling effect to make a small ice box to freeze some ice packs - I don’t have the room to permanently install a fridge. Normally this heat requirement comes from the engines coolant being pumped round the reducer, but there are two common reasons for this to fail. Installation Issues. The ‘standard’ way to plumb in the reducer is to tee into the heater hoses and run the reducer in parallel. The problem with this is that it doesn’t give a guaranteed flow round the reducer, and airlocks can be hard to clear. It’s fairly simple, you push water down a hose and it has the choice of going through the heater or the reducer - unless the heater matrix is blocked, then there is very little restriction and no significant pressure to force the water through the reducer. Very often the reducer is not in a good position for self bleeding - get a situation where one hose has water and the other air, and the static pressure can be enough to prevent significant flow. The end result is fairly obvious, no water flow and up to a kW or energy being sucked out results in things getting rather cold ! No Antifreeze. This is fairly common, especially if you have a weepy head gasket (or other leak) and are constantly losing and topping up your coolant. If you warm the engine on petrol before switching over then it runs fine, but if you switch straight to gas from cold then the water freezes in the reducer if the flow rate isn’t high enough. If the ice forms fast enough, it will completely block the flow of water and there is no easy way to recover other than to wait for it to melt. So lets take a look at what happens when our reducer doesn’t get the heat it needs. At first things appear to run normally, there is some heat in the reducer itself and any water in it. Fairly quickly though things start getting pretty cold. Propane has a boiling point at atmospheric pressure of about -40˚ (C or F, they are the same) - that’s quite cold ! The gas will start to boil off at ever slower rates as the reducer gets colder, and eventually the gas will stop boiling altogether - the reducer will end up with liquid passing through and down the gas vapour hose. The engine will still run as the advancing liquid will boil off as it reaches warmer parts of the hose. Eventually though, as the hose gets cold, the liquid will travel farther and farther before it boils off, and when it reaches the power valve, then things get really bad. The power valve is intended to control the flow of vapour, once liquid gets through it then the mass of gas goes up enormously - the effect is that the engine will almost certainly stop due to a very very rich mixture. You might get a few more “kangaroo hops”, but the engine is going to stop very soon when you get to this stage. So here we are, the engine has cut out and we’ve coasted to the side of the road - hopefully it didn’t cut out on you in an awkward situation. You think, “must be a gas problem, I’ll run it on petrol”, switch over to petrol and fire it up. Wrong, it’s not going to fire up in many cases. You’ve switched over to petrol and all the gas valves have shut - but these are all upstream of the reducer, and we now have the reducer and vapour hose full of liquid gas. This gas is still going to boil off as fast as it can get heat - remember that under the bonnet is hot, the gas boils at -40˚, that sort of temperature difference is going to result in some heat input to the reducer and hose. So while you are trying to start on petrol, the gas system is flooding the intake with gas as well - two lots of fuel, very rich mixture, not a good recipe. Time to sit back, and if you are lucky you’ve stopped not too far from a pub that’s open. After a while, the gas will have vapourised and escaped by passing back up through the air intake and filter - leaving your car emitting a nice stench that most people will recognise. A few turns of the engine on full throttle (ie treat it as a ‘flooded’ engine) will clear this vapour and it should start again. If we look under the bonnet, we will probably find the reducer and part of the vapour hose encased in a thick covering of white hoar frost. Any air getting near the reducer will get chilled, and the result is condensation - especially in a humid summer like we’re having right now. The condensation freezes on the cold parts and you get a thick build up of ice. 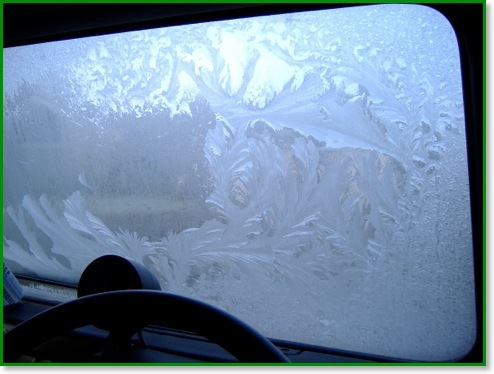 When I’ve had the cooling system drained for some reason, I often find this problem when I refill it - and can watch the ice forming as I run the engine with the bonnet up. As long as the antifreeze is strong enough, the water will start to flow as soon as the air gets purged, and the ice just melts away in a wave as the heat gets there.